Just over a year ago, I got my hands on a new super-fast thumb drive that had a mSATA solid-state disk inside. 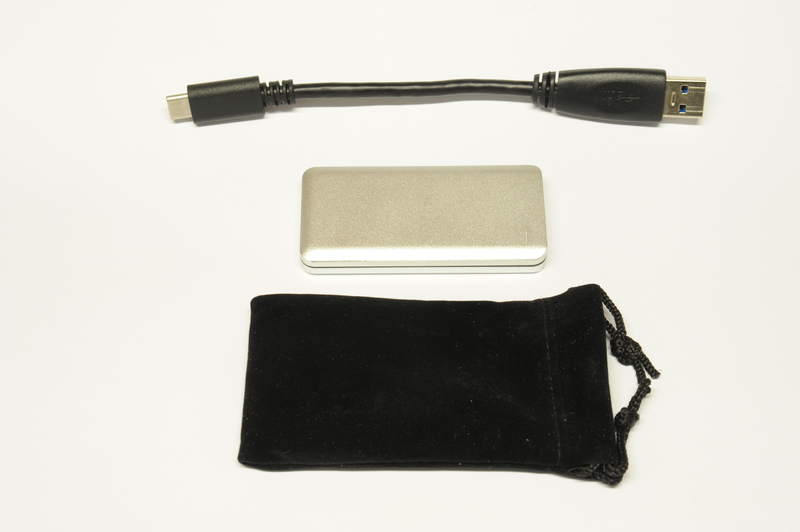 Today, a new version has arrived, with Superspeed USB 3.1 Gen2 and Type-C. If you would like a primer on what a ThunderDisk is and does, check out the earlier review. 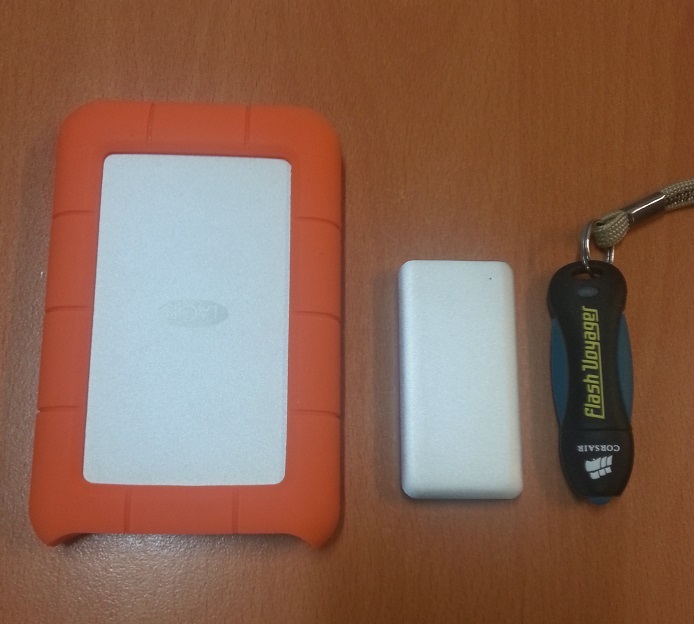 This review will look at the different bus technologies that have just come out, as there’s a lot of confusion over the different flavours of USB 3.x now, so I’ll try to make sense of all these, and why you’d care about them…..
USB 3.0 came out in 2008, and was available on the blue-tongued USB ports in your PC. It was later renamed in 2015, when the USB consortium came out with the next speed bump. What was once called “SuperSpeed USB3.0” (@ 5Gbps or 625MB/Sec) became “SuperSpeed USB 3.1 Gen 1”, and the next doubled-speed bump (@ 10Gbps or 1.25GB/Sec) was introduced in late 2015 as “SuperSpeed+ USB 3.1 Gen 2”. Gen 2 was also accompanied by a new reversible connector that can plug in either way up, called “Type-C” – more info on Type-C here. So, on a bleeding-edge PC, you might find a port labelled as follows to describe both the speed and connector : “SuperSpeed+ USB 3.1 Gen 2 Type-C”. Frankly, this is a pretty crappy naming scheme – they should have just given Gen 2 a name like “Hyperspeed USB-C”, or even moved on to “USB 4.0”. 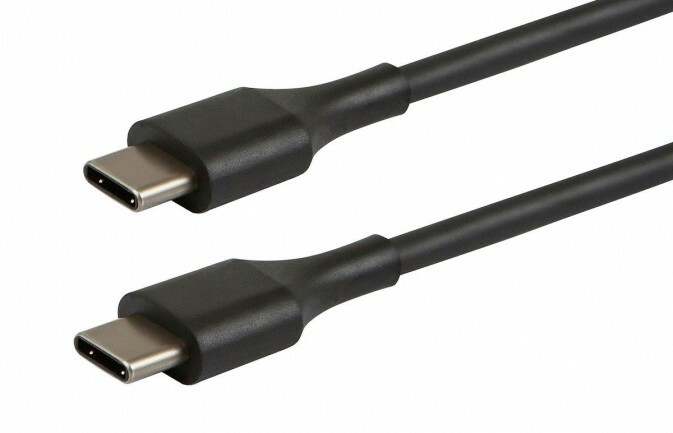 Confusingly, the new standards can be made using the same kinds of connectors as some previous generations of USB, so you can find both of them with USB2-style Male-A, as well as the 2015-year Type-C reversible plug. Motherboards will often still come with USB2.0 ports though, to keep compatability with older Operating Systems and USB peripherals. 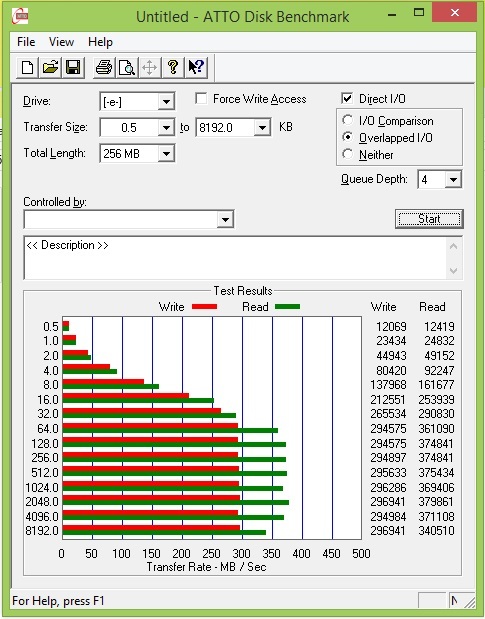 At the end of the day, though, whilst the ThunderDisk has a USB3 Gen2 controller, the speed differences between USB 3.1 Gen 1 and Gen 2 are fairly immaterial, as none of the external storage devices likely to be available soon are capable of speeds higher than the maximum speeds of USB 3.1 Gen1 @ 625MB/sec. Your transfer speeds are also limited by the speed of the internal drives you might be copying to/from. 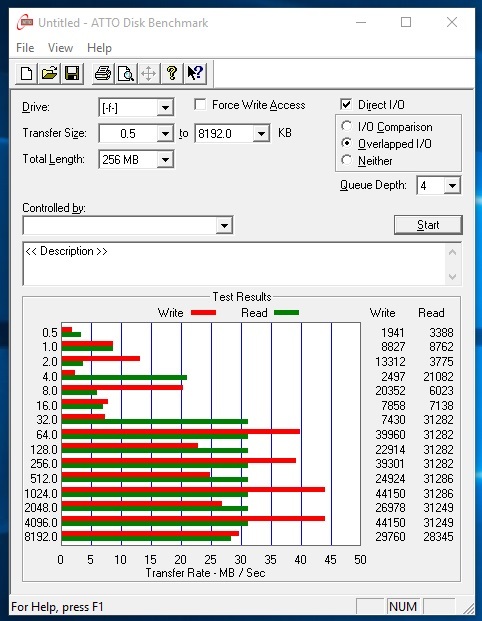 Most desktop SSDs have a max read speed of 550MB/sec when directly connected by SATA cables, and they are only surpassed by a limited number of niche SSDs that connect directly to the PCI-Express bus on recent motherboards. So why would you want a Thunderdisk? The Thunderdisk, by comparison, with it’s Gen2 USB IO and mSATA IO controllers, is 5 to 10 times as fast as the average thumb drive, can be read from at close to 400MB/Sec, and written to at nearly 300MB/sec. This means they are blazingly-faster than regular thumb drives, provided your PC has solid-state drives inside it that can keep up with a Thunderdisk – if your PC still has Windows installed to a spinning disk, you might want to upgrade it’s internal drives before buying a ThunderDisk. 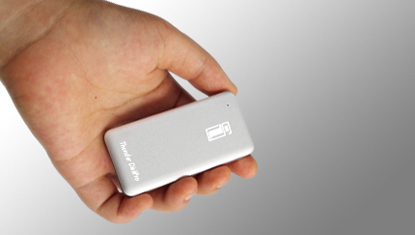 Transferring large files becomes a much quicker task with a ThunderDisk, and the ThunderDisk is fast enough to be used as a system drive, so you can bring your Windows with you. The ThunderDisk benchmark result above is for the current generation Type-C Thunderdisk connected to a USB3.0 (3.1 Gen1) chipset-board as a slave drive – as a system disk, it can often be faster. Notice how smoothly it scales in the different test sizes, compared to the thumbdrive further up above that’s running up against it’s controller limits. I also could not find any significant difference between controllers on USB Gen1 and newer Gen2 boards, as maximum performance is limited by the ASMedia mSATA storage controller and flash-memory in the drive, rather than by the cable and USB chipsets. 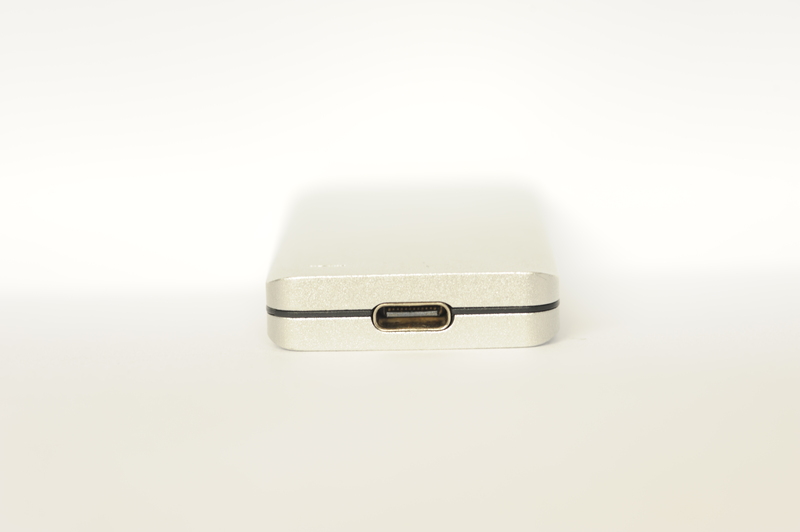 Today’s ThunderDisk is gold coloured, and has a USB 3.1 Type-C socket on it, for maximum compatability with new PCs and Macs. It’s predecessor used the somewhat-rare, and non-reversible, Micro-B 3.0 socket. You can buy it with a 10cm USB Male-A to Type-C cable. 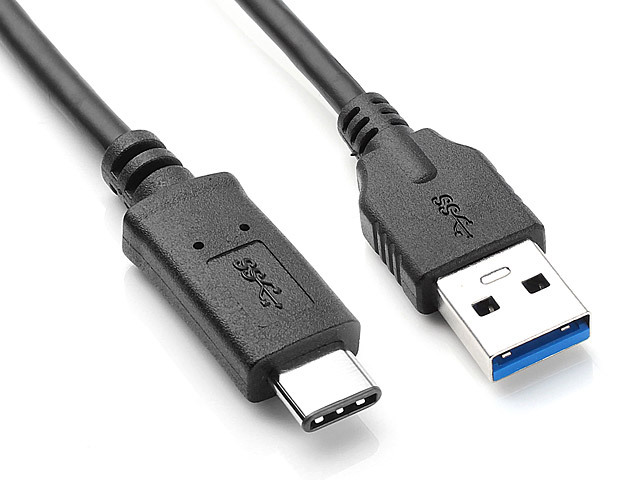 For most people, this is the best choice, as the older, bigger Male-A cable will be plug-compatible with pretty much any PC with USB built since 2000AD (Windows XP, 7, 8, 8.1, and 10 will auto-detect it and won’t ask you to load any drivers – I’ve no expectation that earlier OSes would understand it).. If you are a recent Mac buyer, or have a bleeding-edge PC with Type-C ports, you can buy an add-on Type-C to Type-C reversible cable. The smaller and reversible Type-C plug is more convenient, and there’s no speed difference between the different plug types – only a mechanical plug difference. 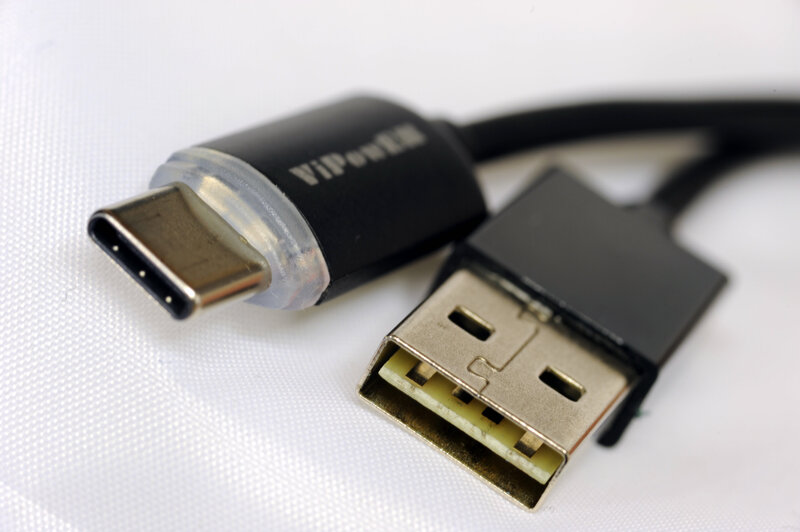 The default cable included with a ThunderDisk is only a handspan long, but it can also be replaced with a regular Male-A to Type-C cable, such as the ViPower reversible Male-A to Type-C, or just a longer Type-C to Type-C cable. 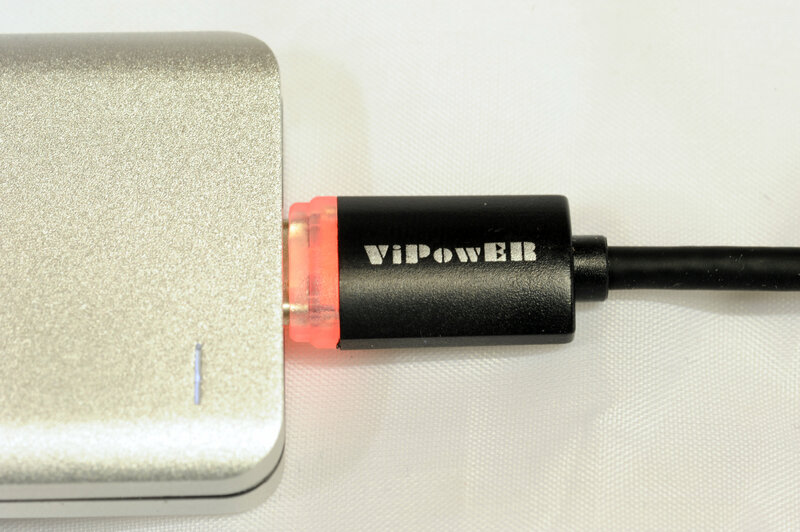 If you upgrade to the ViPower cable, you get some of the convenience of Type-C, as the Male-A end is also reversible, due to ViPower’s cunning enhancement of the older USB standard, which splits the tongue down the middle and adds wire traces to both sides of the tongue, to let you plug it in either way up. Alternatives that offer similar capacity to the Thunderdisk, such as Lexar and Corsair, tend to be around 10-15% more expensive, so the ThunderDisk represents a reasonable purchase. This entry was posted on December 2, 2015, 3:15 pm and is filed under Storage. You can follow any responses to this entry through RSS 2.0. You can leave a response, or trackback from your own site.